The only risk is - wanting to stay forever! Hera's Garden lies 600m away from the beach of Vassiliki(Ponti) a small village and the best windsurfspot of the island of Lefkada. As the house is located on the western slope of the bay it has an amphitheatrically view on the mountains, the valley and the sea with its windsurfers and sailors. Enjoyable for all the guests as all rooms have a seaview southeast balcony. With its separate location, nice and quiet backyard with hammonks below olive trees, you will find here the perfect place to relax - in a friendly and familiar atmosphere. 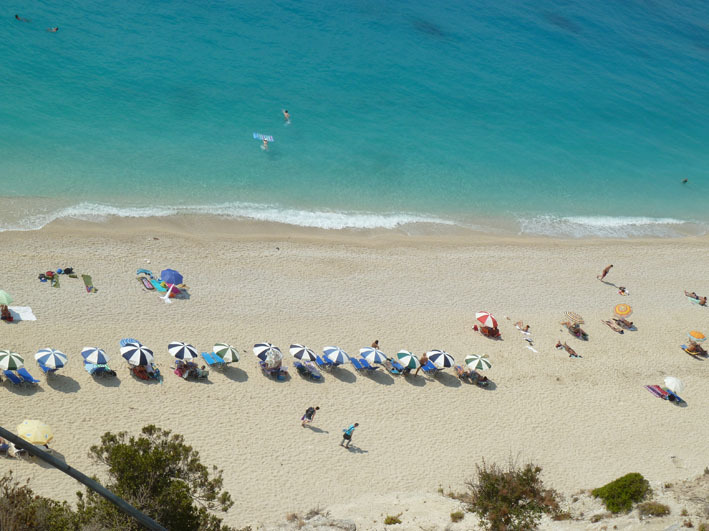 If you come to Lefkada: come and stay with us – contact us here! Free windsurf equipment storage is now avaliable for our guests. Just 40 meters from the beach.